Do we all have psychic abilities? Yes, everyone is psychic, and has the gift of intuition and psychic abilities, but not all are aware or in tune with their abilities. Using your psychic abilities and intuition can help to bring clarity and direction to your own life and those around you. Your psychic abilities can support you in moving forward on your spiritual journey. How do I further develop my psychic abilities? There are many techniques to open up your abilities, through meditation, energy awareness techniques, connecting to your guides and more, these can be found in training materials such as books, DVD’s, online trainings and in person trainings. Are any psychics 100% accurate? No psychic can be 100% accurate, an 85% accuracy rate would be considered high. And this would also depend on the questions and information provided. Example, when it comes to relationship questions, I can be reading you and the person you are asking about, and see the possibilities, potential, and path before you, but you and the other person also will have some influence on the path, by the choices, behaviors and decisions you make. We all have free will free choice. This what is known as FATE and DESTINY. With FATE the path before you is more set, certain things are meant to play out in your life, regardless of what you do. With DESTINY the path is there, but your choices and those of others can influence it. I have fear about being psychic, is being psychic bad? Many people in our society have been conditioned to believe having psychic abilities is bad or wrong or even evil. This is due to our belief system, our religion, our programming. In many other cultures, they embrace being able to use their psychic abilities to help them in life, on a practical level, survival level and spiritual level. If we could look at what psychic abilities really are and why we have them, then we would choose not be in fear. 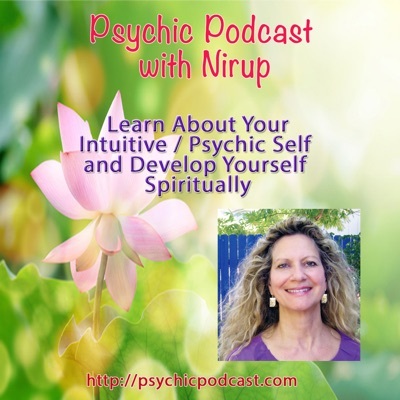 Being open and learning about our psychic abilities can help us to more empowered in our day to day life, and to connect us deeper spiritually.